Samantha's originals all come framed. Her originals measure 8x10 and are done with acrylic paint. The prints measure 11x14 and are printed with a metallic finish and a lustre coating. Each of these pieces uniquely brings a new, exciting feel to your Star Wars collection! 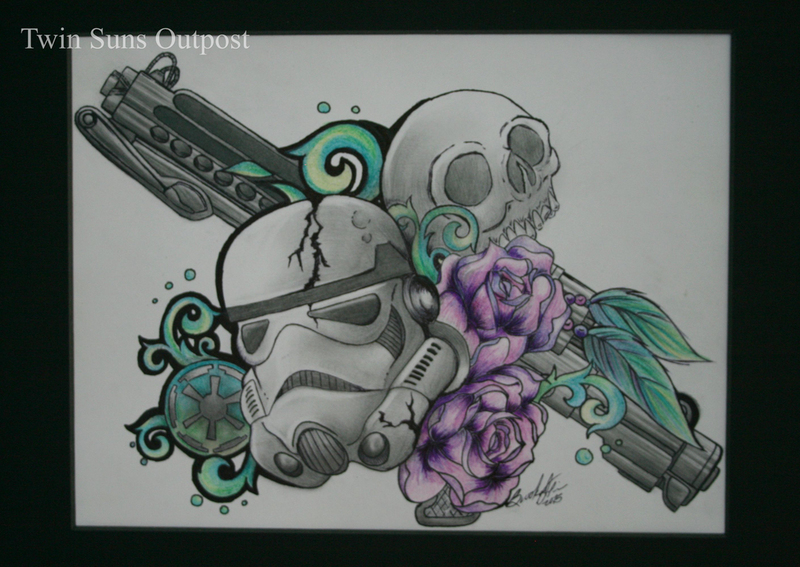 Samantha has even done some commissions for Twin Suns Outpost as well! All of Samantha's pieces are numbered and signed. Samantha is currently working on another set of 3. Check back frequently for more work from Samantha. 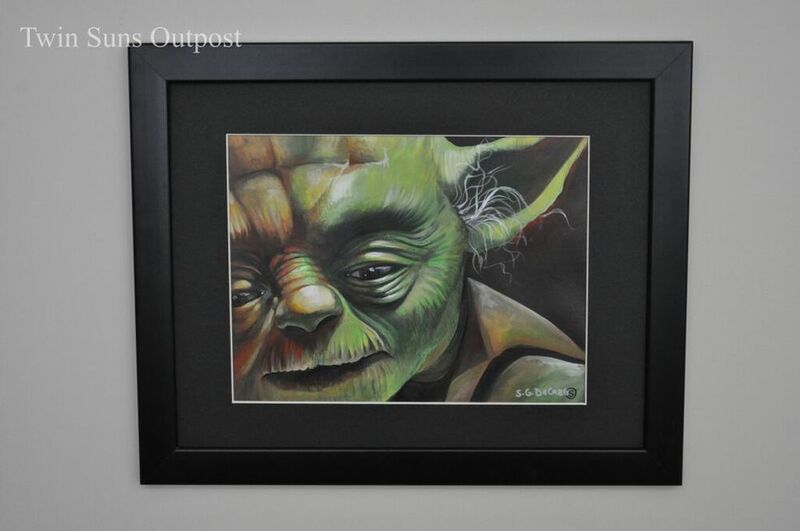 In addition to our amazing artists and new pieces, Twin Suns Outpost exhibited at it's first convention this month. Chicago Comic-Con was a great convention for us to be at to promote our premium artwork. Samantha DeCarlo, one of our artists even showed up for art signings. Our Podcast, Twin Suns Transmission, has been on the rise with more and more people subscribing. In the month of August, Eric and Savanna interviewed Dax Lightspeed from Star Wars Weekends, interviewed Kristy from The Kessel Runway, and provided a full recap of both D23 in Anaheim and Chicago Comic-Con. Continue to check back for special giveaways and to get all the up to date Star Wars news and recaps of events! 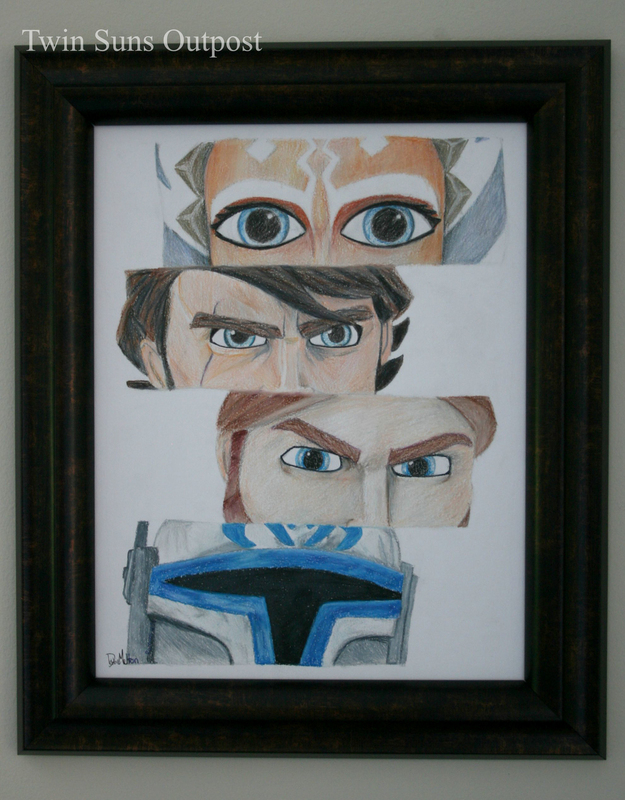 Lastly, Twin Suns Outpost would like to extend a farewell to one of it's artists. L Jason Queen has begun a new chapter in his life and unfortunately, that means a departure from Twin Suns Outpost. Mr. Queen will be going through a move and will be beginning a new genre with his own art. We wish L Jason Queen all the best!